Curious about cruising catamarans? 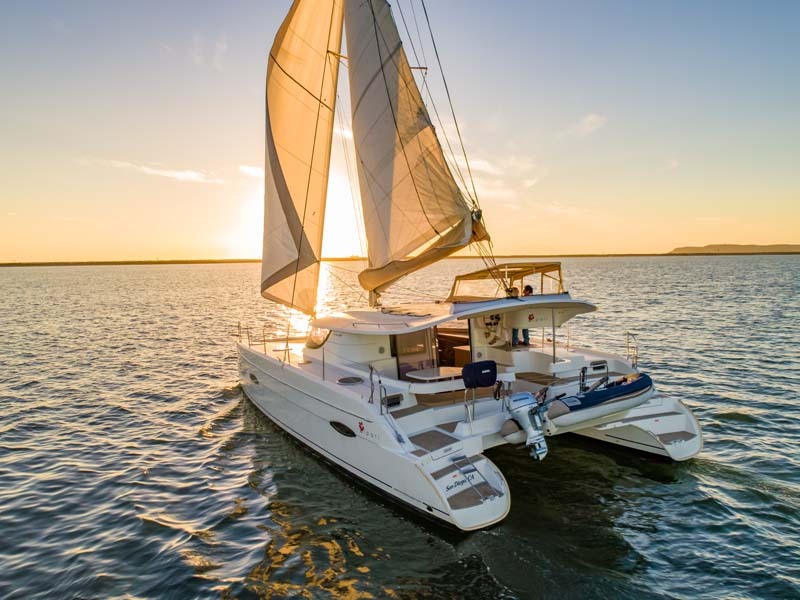 Here is your chance to enjoy a first-hand experience aboard one of West Coast Multihulls’ popular fleet cats. Reserve a limited spot on a 2 hour introductory sailing cruise offered at the 2019 Sunroad Boat Show. Come and see what all the fuss is about. Find out why more cruising sailors and charter fleets are making the switch. Limited to 6 people per trip, so book your spot today!